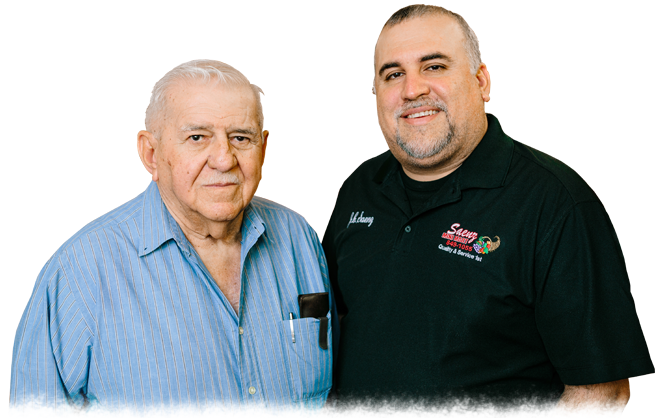 Since 1976 Saenz Mini Mart has been planting the seed of brighter tomorrows today when it comes to grilling or cooking. From the backyard to the kitchen, wholesale to our local restaurants and the taco stands, we are ready to handle any special event that consists of having beef on the plate. Experience some of the best customer service available without having to drive out of town. We understand the demands of our everyday lifestyle, always in a hurry, that’s why we have all your essential groceries, produce and meats on the go with no long lines and competitive prices. Meat is our specialty we carry a variety of cuts including pork, lamb, and poultry. We can handle anything from one half pound to five hundred pounds of what you need for a snack, dinner or for catering an event. We also have a slim deli section where we slice to order. Seafood is available.